I believe that of all the suspects Lewis Abbott has the best credentials to be the Piltdown hoaxer. Most Piltdown historians have passed over Abbott as a suspect or have explicitly acquitted him. A few have hinted that the accusation has merit. A hunt through published literature on Piltdown will turn up very little on the possible complicity of Louis Abbott as Piltdown hoaxer. Vere and Dodson toyed with that in a few sentences. L. Harrison Matthews allows Abbott a role in his quartet of hoaxers. J. S. Weiner, in The Piltdown Forgery, locates Abbott as "a likely source" for the jawbone. Gould views Abbott "as a quite plausible suspect" (Private communication, August 6, 1986). Searching through the Piltdown archives uncovers passages that hum with a leitmotif of suspicion. Kenneth Oakley seems to have been tracking Abbott. He asked Teilhard whether the Site II finds could have been before 1914, and then unexpectedly exclaimed: "Do you remember a man named Lewis Abbott? He was a believer in eoliths!" (Teilhard replied that, though he had heard of Abbott, he had not met him.) In a letter requesting information about amulets from Abbott's gem collection, Oakley tempts the reply he wanted: "They may, of course, be forgeries" (February 3. 1954, BMNH). Years after the expose, Oakley continued inquiring about Abbott. He asked J. de Heinzelin de Braucour, of the Institut Royal des Sciences Naturelles de Belgique, about Abbott's correspondence with A. Rutot; de Heinzelin believed that Abbott had "played his part in the plot." Oakley wrote back asking whether de Heinzelin knew the name of Abbott's assistant. "If his principal assistant was young in 1914, he may still be alive to tell the tale!" Oakley also corresponded with F. H. Edmunds of the Geological Survey and Museum, whose lengthy reply is informative and a good clue. While I was in the district I made the acquaintance of a jeweller who owned a shop in Hastings, one W. J. Lewis-Abbott, whose name is not unknown in the geological world of 40 years ago. He himself told me that he had worked with Dawson on the Piltdown skull and that the skull had been in his possession in his house six months before Smith Woodward saw it; and I gathered from him that he soaked it in bichromate to harden it. I have every reason to believe that these statements were matters of fact. This has some bearing on the view as to who was the author of the forgeries you have detected. It seems to be unlikely that Dawson, a solicitor, would either have the knowledge or the ability to make skilful forgeries; although that is only an opinion as I never met Dawson. Abbott certainly had the knowledge, skill, tools, and opportunity to do so. He certainly tried to pull a fast one over me, by offering me erratics of various types of rock, plus photograph of section, to show a boulder clay at 150 ft. O.D. just outside Hastings! Unfortunately I could not make the photograph fit the countryside. Mrs. A. B. Milligan, archivist of the Wellcome Institute for the History of Medicine, thought that Abbott took himself too seriously to be the hoaxer and that, if he were, he would have taken credit for the discovery. Glyn Daniel wrote me that Miles Burkitt, his teacher in prehistory at Cambridge, used to lean toward Abbott as hoaxer, but realized that "it was not a very strong case." Peter Costello wrote that the BMNH staff leaned toward Abbott at the time of the expose, "and if one were suspicious Abbott has some bad points against him," but also thought the case against him weak. A biographical survey of Abbott, including his view of himself, suggests that his personality and career fit the profile of the Piltdown hoaxer better than do those of his fellow suspects. Born six years before the Origin of Species, William James Lewis Abbott grew up during the Darwinian excitement about human ancestry. The most complete account (two paragraphs) of Abbott is given in A. S. Kennard's "Fifty and One Years of the Geologists Association" (1947). He was a short, stocky man with a ferocious moustache, nearly always wore a boater in the field and came from a remote part of Essex, the Dengie Hundred. Abbott at first was a frequent speaker at outdoor meetings, defending orthodox religious views, but at one meeting a working man asked some awkward question based on geology, of which Abbott knew nothing; so he made up his mind to learn. Abbott early developed an interest in gemology, teaching at the Polytechnic Institute on Regents Street. That early interest broadened out in two directions, into his profession as jeweler and into his avocation of bonegrubber. Wanting to be close to the land that hid the prehistory he felt himself uniquely qualified to discover, he moved to Hastings and there opened a shop in 1898. Fossils eventually replaced customers. Over the years, his business declined. He made bad investments, buying gold when it was high and selling it when prices fell, building up inventories for Christmas sales that didn't materialize, borrowing money that he had difficulty repaying. His wife's and his own health failed. "In his own estimation," Weiner wrote in The Piltdown Forgery, "he was an ignored genius." In others' estimations, he was eccentric. Harrison draws a temperamental and troublesome Abbott, a person verging on mental unbalance. Joyce Emerson, who with Weiner wrote two popular accounts of the expose for the London Times, described him as bombastic, a "reckless enthusiast, championing Piltdown Man without reserve" (Emerson, 1955). The persona emerging from Abbott's letters is opinionated, frustrated by the persistence of false theories, by the tardiness of others to understand and act on his advice, and then impatient at them for taking the credit and reaping the rewards of his novel insights. Were the theory of humors medically respectable, Dawson, open and cheerful, would be a specimen of the sanguinary character; Abbott, impatient and quick to take umbrage, shadowy and choleric. He condemned the British Museum because of its failure to make Kent's Cavern fossils available to him, and during one of his arguments sent Dawson, in the latter's phrase, "abusive letters." Sharp in attacking enemies, he was passionate in his affection to "wiffey" (who had been a music hall actress) and to his heroes, the English archaeologist Benjamin Harrison and the French archaeologist Boucher de Perthes. His articles and letters overflow with such claims, "the first discovered example of a British palaeoglyph," a Roman bronze statuette the finest ever found in England; Hastings kitchen middens, the best artifacts ever found from the people who left the rubbish; a coconut pearl, the only one in the country; his anthropological collection, the most complete of any known; from the frozen gravel of the Yaniesei, unique things; cat's-eye opals, wonderful specimens unknown to the British Museum; and so on. As his business declined, his reputation as an excellent observer and provocative theorizer improved over the years. Just about everyone consulted him in the game of seeking what was hidden, not only the amateurs cruising the landscape but the professionals as well. On the Hastings Museum Committee with Butterfield and Dawson, he was, at least before December 1912, more famous than either of them. Abbott is cited for his work on the geology and fossils of the weald by W. J. Sollas, G. F. Scott Elliot, J. Reid Moir, Arthur Keith, Miles Burkitt, A. S. Kennard. Keith turned to Abbott's ideas on prehistoric geology, on flint industries, on the age of the Piltdown pit. Agreeing with Abbott on prehistoric man's symmetrical brain and on the antiquity of the Galley Hill skeleton, Keith summarized the evaluation of other professionals: Abbott was "an explorer whose opinion in all that pertains to the geology of the Weald deserves serious consideration," particularly his opinion on flint industries. Keith commended Abbott's theory that "each generation of Palaeolithic men we now know copied and modified the flint tools of an older generation." And yet, in so many references to him, an uneasiness about Abbott's having misinterpreted what he found colors the commentary. J. Reid Moir noted that Abbott had found flints in the Cromer Forest Bed that "he claimed" were humanly flaked. Miles Burkitt, Daniel's professor at Cambridge who once suspected Abbott as hoaxer, wrote that Abbott's claim about finding these tools was invalid-the "tools" were natural creations (Burkitt, 1921). John Ray, a solicitor at Hastings, advised Woodward that Hastings should not buy the part of Abbott's collection offered to them because Abbott's conclusions and theories were suspect. Woodward replied that some things should be bought by the Town Council, though long ago he had found Abbott's prices too high and his good work "spoiled by the use of his many speculations, and perhaps too much enthusiasm." There is a flake in the Reading Museum, acquired from the old Wembley Museum, marked as coming from the boulder clay at Finchley, and with the finder's name W. J. Lewis Abbott. Lewis Abbott was a remarkable man and his name is connected with many of the palaeolithic discoveries  made about fifty years ago.... His observations must, in view of his imagination, be accepted with reserve. Well, then, Abbott made mistakes in interpreting some finds. But the coloration in the commentaries darkens as we come upon the hints that he did not merely make mistakes, he salted sites and forged artifacts. I have never seen anything quite like these objects and they certainly look to me pretty good forgeries. They do not, however, resemble Billys or Charleys so far as I know and must be something from another "factory." (February 1954, BMNH). Abbott explored kitchen middens below Hastings Castle. He reported that he had found mesolithic flints with the pottery; this implied that the pottery was also mesolithic. No mesolithic pottery had ever been found in England. In 1937, E. Cecil Curwen reexamined the find, then at the Hastings Museum. He ascertained that the pottery was of historic times, mostly medieval. He did not speculate as to how mesolithic flint tools had gotten mixed up with medieval rubbish. I will so speculate. I think that Abbott planted the mesolithic flints as a false index to the age of the pottery. I think that he brought the fossil ivory Kennard alludes to the site. I wouldn't be surprised if the amulet forgeries came not from Billy's or Charley's but from Abbott's factory. As we'll see, Abbott was talented at fabricating artifacts. No one among the suspects was as adamant, years before Piltdown, that England was host to Pliocene (or Plateau or Eolithic or Forest Bed) Man. A. S. Kennard, who considered him "a born collector," repeated a colleague's remark: Abbott "is such a man. Put him in Trafalgar Square and he would find fossils in the granite basin." "Wherever he went," Kennard added, "he found." 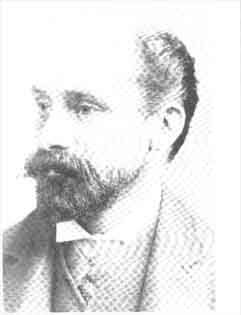 Abbott began publishing his discoveries and theories on the prehistoric races of Sussex and Kent in 1892; he wrote on pleistocene vertebrates, including walrus fossils in the Thames valley; on geology and gems; and especially on flint industries in England and elsewhere. For a find of Pleistocene vertebrate fossils, he shared the Lyell Award of the Geological Society (in 1897). He also was funded by the British Association for the Advancement of Science. He explored caves, barrows, tunnel-works, and middens at Kent, Sevenoaks, Hastings, the Cromer Forest, and many other sites. Long before the Piltdown finds, Abbott had proposed that in the Pliocene, prehistoric English hominids had left mementos of their bodies in fossilized bones and of their culture in eolithic tools. Paleolithic and neolithic tribes followed the eolithic. As early as 1894, he published on Plateau Man, the thesis of the article that paleontology has found "it necessary to extend the dominion of the genus Homo into the geologic past to a degree that was previously undreamed of." Benjamin Harrison had so predicted. In this country, at all events, no one has ever professed to find the remains of man at so low a horizon, although the opinion before now has been hazarded that if they occurred at this horizon at all, they would be found at the place where Mr. Abbott has actually discovered them. Eighteen ninety-eight's contribution was "The Authenticity of Plateau Implements," also in Natural Science. 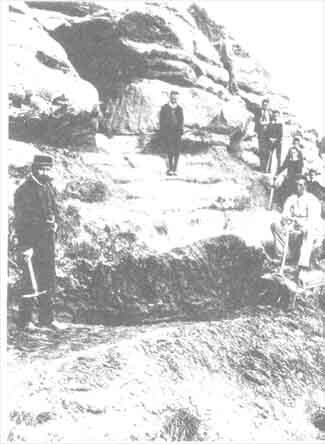 At a lecture to the Eastbourne History Society in 1908, Abbott directed his audience to forget Kent and look to Suffolk and Sussex for evidence of Plateau Man. He reported that Reid Moir, taking his advice, had conducted researches in Suffolk that "led to results of quite a startling nature, and which have since been the object of discussions all over the civilized world." The flint implements  that Reid Moir found, and sent to Abbott, showed that primitive human beings living in the same area had "sufficient intelligence to chip flints into desired forms quite early in the Pliocene period." Other articles followed, elaborations of Abbott's central theory that a tool-making Pliocene hominid had existed in England. Exploring, he said, would uncover more paleontological and eventually anatomical evidence of that existence. We're creeping up to the Piltdown pit. It's time to pause for a moment and reflect on where Louis Abbott was circa 1911. He had published at least twelve papers, most of them before the turn of the century (1892, two; 1893, two; 1894, one; 1895, two; 1897, two; 1898, two); then a gap until 1911, one. He would publish throughout the rest of his life fewer papers than he had from 1893-1898. But he kept on writing them and kept on complaining that though (or because) he was far ahead of his time, a real pioneer, they were not readily accepted. Everybody kept on carping about eoliths not being tools and kept on ignoring him. He had dedicated his life, and would continue to dedicate his life, to the proposition that a toolmaking hominid had existed in England. As 1911 approaches, W. J. Lewis Abbott is an angry middle-aged man. Nothing in the weald would be better than for someone to find a hominid obviously ancient (say, with a jaw bone very like an ape's), the bones accompanied by flints that were unquestionably tools. Lewis Abbott guided Dawson to the pit, defined the remains as human, and adulterated them. Four years later, in early 1916, he said that it was his having described a drift in a St. Leonards valley that induced Dawson to look to the gravel pits around Uckfield, the village where Dawson had his law office and contiguous with Piltdown. A month after Dawson's death, Abbott informed Woodward that he had told Dawson that, before anything was found there at all, "these gravels are so important and contain so many patches of the old Pliocene drifts that they deserve working inch by inch (October 13, 1916, BMNH). It is possible (I feel that many of my colleagues would say inescapable) that Abbott was lying, taking undue credit after the fact, that is, in December 1912 and October 1916, for Dawson's having looked around Uckfield in 1911. But saying that he lied imposes something extraneous. Nothing exists to contradict his version, and much exists in what he wrote before the finds that he anticipated Pliocene Man being discovered in the weald. If the skull fragments had always been in the pit, why did it take diggers almost twenty-four months to retrieve all nine of them? It might have been the case that someone had planted the first piece and then sequentially over those twenty-four months of 1911 and 1912 put in the rest. Abbott here asks Woodward for information about the skull, which he knew had come from the Piltdown pit. Then he tells Woodward that Dawson had shown him a fragment of a very thick skull. One reading of the letter is that Abbott did not know that the pieces Dawson brought him and those in Woodward's possession were the same. But surely Abbott would have inquired of Dawson as to the provenance of the cranial fragments and tools Dawson had brought him. How could Abbott not have realized the identity of the fossils Dawson brought him and those Woodward had? He could have been engaging in subterfuge, streaking a red herring across his trail, dissociating himself from the finds, but it would have been obvious to Woodward that the pieces Abbott had seen and those Abbott was inquiring about were the same. Abbott also took credit for recommending that Dawson consult with Arthur Smith Woodward about the fossils. If we wanted to revel in paranoia, we could assume that Abbott chose Woodward as the consultant on hominid fossils because Woodward's specialty was fish fossils. I should like to focus on the eighth item: "Electro plate and re-plating." Before rhodium came to the jeweler's aid in the late 1920s, chromium compounds were used by jewelers for decorative plating, for polishing metals to a fine blue-white finish, and for testing the carat of gold and silver. The compound for that testing was potassium bichromate. I believe, with J. S. Weiner, that Abbott was probably the source for the jawbone. The forged teeth present us with a number of clues leading to Lewis Abbott. Abbott anticipated that the prehistoric wealden hominid would have apelike features and, before the canine was found, that it would possess that tooth in apelike form. Sometime in the winter season of 1913, Abbott lectured to the East Sussex Art Club. He exhibited tables of geological formations on which were pictured skulls, bones, and flints found in those formations. In this survey, he emphasized the evolutionary principle that as we "descend the ladder of time" we find ancestors who are so different from us as to constitute a different species and that, as we go still further back, we come to ancestors who belong to a different genus, "one which, while it had a claim to the genus Homo, had nearly as great a claim to characters not found in man today, but only in the higher apes." That as we go back in time, we find hominids with ape characters is the thesis of his "Pre-Historic Man: The Newly-Discovered Link in His Evolution," a short article published on February 1, 1913, in the Hastings and St. Leonards Observer. "The recent discoveries in Sussex have a special bearing" upon the evolutionary principle. The pit's geological formation is just what he had expected, and the fossil fauna just what he  had expected, and the cranium and jawbone most exactly what he had expected in the combination of humanoid, chimpanzoid, and gorilloid features. The jawbone is, as it should be, more like that of a chimpanzee than of a human being. Unfortunately, the part of the jawbone that carries the canine was missing, but if there had been a canine, it would "in all probability" be "essentially chimpanzoid." Abbott concludes: "We have at last discovered the Pliocene ancestor of at least one branch of modern man." How could Abbott have known about the jawbone in January 1913 when he wrote this article? He hadn't attended the Geological Society December meeting; he could not have read the Dawson- Woodward paper because that would not be published until March; he could not have had a cast because casts would not be distributed until April; he could not have seen the chimpanzoid canine because Teilhard would not find that until August. The jawbone could, however, have been in his collection before it ended up in the pit. Although contrary views continue on whether the cranial pieces had been there originally or put there, there's a clear consensus that the jawbone had been planted-it came out from the gravel already adulterated (unless some British Museum wag gave it a bath in bichromate and then in sulfate after Woodward had brought it to the museum). The jawbone. which had once hung out in a Dyak hut in Borneo, could have been an unregistered item from the Everett Collection (the BMNH had a hoard of collateral items not thought good enough for itemizing). But it did not have to come from there. Abbott had thousands of jaws; he would have been on the lookout for something like that on the fossil market. He knew that market well and was unusual among the suspects in knowing the  monetary as well as the paleontological value of prehistoric commodities. He not only studied fossils; he sold them. Abbott might have exhibited the very orangutan jaw before its brief interment in the pit. One of the items Abbott prepared for a 1909 Hastings Museum exhibition consisted of human jaws and teeth. His note for this read: "Some worn down by gritty food, some jaws show abnormal dentition. In one case the last molar is more than twice the size of the first-an essentially pre-human character." To J. S. Weiner, who quotes this, this "one case" refers to a child's milk dentition, Abbott unable to tell the difference between milk teeth and permanent teeth. "Pre-human" could mean a hominid earlier than Homo sapiens-but Abbott could not have had any of those (he could well, however, have imagined he did). "Pre-human" in his lexicon would mean ape. If it were an ape's jaw, it wasn't that of a chimpanzee. Gerrit Miller noted that the Piltdown teeth were larger than those of a chimpanzee. The American Museum of Natural History's William King Gregory wrote in 1914 of the third alveolus of the eoanthropine jaw that it would have been a suitable receptacle for a very large molar. An orangutan jaw has such large molars. The jawbone displayed in Hastings, then, could have been the same as the one exhumed from the pit three years later. I wonder if reasoning along these lines accounts for Weiner's spinning another of the tantalizing leads to Abbott. In a letter to W. N. Edwards, curator of geology at the BMNH during the time of the expose, Weiner wrote that it would be "worthwhile" to visit Abbott's daughter, have a "look around" to see what had happened to Abbott's collections. "In a catalogue of 1909, Abbott has some amusing exhibits of different types of skull and teeth, which makes one think!" (December 3, 1953, BMNH). Weiner might have made the connection made here. That doesn't mean he thought Abbott was in on the hoax, just that Abbott (innocently) gave the jawbone to Dawson. Harrison Matthews thought that, while the skull was Dawson's (given to him by Mr. Burley), the jaw came from Abbott's collection of curios. (Matthews, May 14, 1981). I think the jawbone did come from Abbott's collection and that it was already imperfect, lacking condyle and symphysis. Like almost all the other suspects (Teilhard is the exception), Abbott had a place in which to work the transformation of a common human cranium and an orangutan jaw into the earliest Englishman. Alone among the suspects, he used in his profession the tools and supplies effecting the transformation-pliers, tweezers, hammers, gravers, files, burrs, grinding tools, a handsaw and a delicate jeweler's saw, abrasives and acids, polishing compounds, rotten stone, rouge. A jeweler's saw could be used to cut wedding rings and semi-mineralized bones; abrasives to buff silver trays and to lower molar occlusal levels; nitric acid and aqua regia to smooth out roughly abraded surfaces; potassium bichromate to put a chrome finish on trophies or a patina on fossils. All the tools and supplies needed for the chemical and anatomical forgeries were right at hand, though they were not always used with consummate skill. Knowing less about anatomy than Smith, Sollas, or Doyle, Abbott could have made such errors as filing the molar surfaces at too sharp an angle, scratching them, and misaligning their planes. The grossest error the hoaxer made in the whole enterprise of fabricating an ape-man was his choice of the canine tooth. Not of a canine tooth, but of the special one that Teilhard found. The hoaxer selected the wrong tooth-a young canine incommensurate with a mature jawbone. Then he proceeded to abrade it too much, puncturing a hole into the juvenile pulp cavity. A piece of metal alloy was found sticking to the canine tooth. Abbott was the only one who would use metal alloy in his work and could make a gratuitous mistake like that. The next point is more tentative. He repaired clocks. Paints had to be available for the refinishing of dials, marking of numbers, renovation of woodwork. He could have used artist's paints. An oven would have come in handy for melting, joining, casting metal alloys, and baking paint onto tooth enamel. A week after the Geological Society meeting, Abbott wrote a letter to Woodward. The letter begins with an attack on E. Ray Lankester's notion that the skull was similar to those of inhabitants of Sussex a mere 1,000 years ago and Lankester's equally appalling notion about how such diverse fossils could have come together: water had dissolved the ground, freeing bones and allowing them to move downstream where they assembled. That hypothesis would have dissolved Abbott's theory that the skull was hundreds of thousands of years old and that the fossils had been found together because the animals from which they came had lived and died together. In the letter, he disclaims anatomical knowledge. And then he counsels that he "should not be so mad as to 'father' that big-chinned, beetle-browed, receding-foreheaded, Roman-footed athlete of the Illustrated London News !" (December 27, 1912, BMNH). Abbott had immediate access to fragments of the specific mammalian fossils found at Piltdown. Abbott's museum at 8, Grand Parade, St. Leonards-on-Sea, included tens of thousands of gemstones, which he advertised at the end of his 1898 article on "The Pre-Historic Races of Hastings": sapphires, spinels, alexandrites, berylonites, turquoises, "imitative and artificial gems," and "proxy diamonds guaranteed to natural gems the closest yet produced." He also had a large supply of mammalian fossils, especially of Pleistocene vertebrates, "All the unique specimens discovered by Mr. Lewis Abbott." He sold lantern slides illustrating prehistoric anthropology. He sold fossils as well as gems, traded them, wrote about them, lectured on them, displayed them in museum exhibits. If access to fossils is to be a high criterion of hoaxmanship, then Abbott comes out first on this as well as on other criteria. Some of the fossils were of animals native to England. The Cromer Forest Bed, which Abbott explored in 1897, contained these, the inventory from that year's Natural Science: cave-bear, rhinoceros, hippopotamus, elephant, and deer. Abbott retrieved fossils of rhinoceros, hippopotamus, elephant, and deer from St. James Park. And also, from that site, fossil pelecypods and a leaf-shaped flint implement. After Abbott's death, some of his collection went to W. J. Sollas, most to museums. The Wellcome Institute had the monkey skull already mentioned; and, in addition to that, fossil fragments of a horse; mammoth molars; "two incomplete right third upper molars" of a rhinoceros; part of "unciform of distal carpal row" of a hippopotamus; and an Elephas tusk and its upper and lower limb bones. I think the claim is supportable that he had specimens of all the extinct species represented in the pit's assemblage, even of the elephant femur bone. If the flint tools were paleolithic, anyone could have bought the handful and salted the pit with them. Abbott comes out a little ahead of the other suspects in knowing so well what gravel bed to select and what index fossils and tools (flint and bone) from his large collection to plant. The shop offered for sale "Plateauliths, Palaeoliths, Mezzoliths, Neoliths, Palaeolithic types." In the letter disclaiming anatomical knowledge,  Abbott does "with all modesty assert a claim" to knowledge about stratigraphy and flint industries. Others agreed with that self-appraisal. Dawson visited Abbott to check out the Piltdown flints, after which meeting Dawson wrote to Woodward that Abbott was in no doubt about their being artifacts. "They are man, and man all over!" The Plateauliths, or eoliths, caused a good deal of trouble in Edwardian paleontology in general and between Abbott and Dawson specifically. Abbott insisted that the Piltdown pit had originated in Pliocene times. Assuming that the cranial fragments, jawbone, and mammalian fossils had been swept down into the pit with Pliocene gravel ensured the conclusion that the flint implements were more recent [;this] came in for an Abbott insult. Abbott asked Woodward to tell him who had dared to date them as Chellean or Pleistocene. He wrote to the Morning Post, "Of all the mystifying libels that have been circulated in connection with Piltdown man, and the one that is calculated to prevent his true age and nature being understood, it is the one which makes him of Chellean age" (January 1914). His whole plan would have been nipped in the bud if those he wanted to con had rejected the great antiquity of the remains. Lankester had rejected that antiquity. So had Dawson. Dawson thought the deposit Pleistocene and its eolithic objects only rocks. A fight between Abbott and Dawson on eoliths was imminent. It broke out when Dawson conducted the experiment in which he showed that starch fragments could be made to look like tools simply by being shaken in a bag. The experiment shook Abbott so much that in 1914 he wrote Dawson abusive letters. The antagonism between Dawson and Abbott included Abbott's thinking Dawson too ignorant to tell the difference between a human cranial fragment and an eolith and Dawson's thinking Abbott too ignorant to tell the difference between an extinct monkey's skull and a modern one. The flint implements found in the pit are generally assumed to have been from paleolithic cultures. In that case, Abbott had an abundance from which to choose. Just how many of what flint tools were found where does not shine through any stage of the Piltdown history. The original 1913 and 1914 papers to the Geological Society specify four flint implements, each of which received a BMNH number and analysis by Kenneth Oakley (Weiner, 1955). But Woodward's listing (The Earliest Englishman, 1948) doesn't correlate with either of those. The first problem is trying to figure out how many flint tools were in or near the pit-four. five, six, or none. Woodward lists a handax, a small pointed triangular tool, a squarish heavy tool, a flint borer, and a leaf-shaped flake of flint. The handax found by Teilhard was shown by the Weiner team to possess the telltale chromium coat. Abbott analyzed the process of natural staining m his "Worked Flints from the Cromer Forest Bed" (1897), where he wrote of iron giving flints "a brown colour with various amethystine tinges," of what manganese does to color fossils, of amythystine tinges. In "On the Classification of the British Stone Age Industries" (1911), he expresses a gemologist's aesthetic pleasure in the "beautiful red-yellow-brown" of plateau flints and the "old brown" of iron-oxidized flints. He also develops a new and extremely, if not excessively, detailed taxonomy of flint types and explicates the physics of fracturing flints into implements. Working out a credible connection between something found in the pit and something that had been in Abbott's collection would be a smoking gun in this inquest. (1) The jawbone. If the jawbone had come from Abbott's collection, that could indicate that he had a finger in the pie-but it could also indicate that Dawson got it from him and planted it. (Although the question would then be, Wouldn't Abbott have recognized it? To which the reply is, Abbott and Dawson collaborated. To which the reply is, Abbott so disliked Dawson, he wouldn't have collaborated on anything.) (2) The elephant femur slab. If that had come from the collection, it would be a clearer clue to Abbott's guilt. Chris Stringer, of the BMNH Palaeontology Department wrote to me that the color of the Piltdown slab "does not closely match" that of the elephant bones in the  Abbott collection of the BMNH. The slab "was probably produced from a chunk of fossil bone as found, i.e., of similar size to the pieces as now preserved, rather than cut from a larger bone." Stringer thinks that the finds at Site II are the major reason "to implicate Dawson as at least a coconspirator" (October 28, 1985). (3) The leaf-shaped implement. Abbott found this at St. James Park. The Dawson-Woodward paper describes a "foliate implement." (4) The fossil pelecypod. Abbott found such a fossil in a flint at the St. James Park site. The Dawson-Woodward paper of 1914 illustrates a flint in which is embedded a fossil pelecypod; it is also illustrated (#7) in Woodward's The Earliest Englishman. Perhaps the flint in which Inoceramus inconstans resides is the one that Abbott found in the park. The hoaxer may have made the paleolithic implements from fresh flint or from neolithic implements. The only one among the suspects who could have done that is Lewis Abbott. Abbott discussed flint industries in "Plateau Man in Kent" (1894); in "Worked Flints from the Cromer Forest Bed" (1897), which-a relevant point-discusses at length how natural oxidation stains fossils; and in "On the Classification of the British Stone Age Industries" (1911). In this he drew a new taxonomy of flint tool types-celoclastic, clinoclastic, and so on, for a total of fifteen. He wrote of artisans who copied models from the past, as children copy adult productions, and requested due respect to the French, Irish, English, and other flint artisans who demonstrated the dexterity required in the striking of a blow that would hit the flint in such a way as to split it perfectly. He also observed that he could easily detect whether a flint tool had been reworked. In an 1895 paper, in one three years later, and in other places, Abbott reported finding such flints and flakes, paleoliths boldly "reworked and polished by neolithic man and again subsequently rechipped." Reid Moir and others who have tried it have informed us that it is difficult to make tools out of rock. To those who have never attempted to make a Chellean implement it may appear a most easy thing to produce; but having many times attempted this task I know that it requires an immense amount of practice and much thought and care in flaking. The prehistoric artisans knew how to remove flakes, Abbott wrote, not with a rounded hammer-stone, but by battering "in a way which can be imitated today." Abbott has so far told us that Pliocene Man could rework older flints into newer models and that he could recognize a flint that had been so reworked. What we could use is a statement that he could do it himself. not so much in rummaging amongst second-hand collections, nor even in visiting pits and buying implements from workmen, but in making them oneself. When one understands so much of the working of flint as to be able to set out and make an implement of any pattern and style of work desired, and also is able to tell a modern forgery at sight, then one is qualified to say what man or nature can or cannot do. He is, he confides seventeen years later in "On the Classification of the British Stone Age Industries," "one who has spent his days and years in practical flint-working." And again, in his January 1914 letter to the Morning Post: one must know the physics of flint fracture "so as to be able to say what form will result from a flint being struck in this, that, or the other way...."
It was no secret that Abbott could make flint implements. Natural Science wrote of him as a modern imitator of the stoneworkers. Abbott counterfeited tools not only for his own amusement and edification, but for others as well. W. R. Butterfield wrote that in a pageant "the clubs and axes carried by the 'Ancient Britons' were made by Mr. Lewis Abbott, and all who saw them will agree, I think, that they were remarkable well made" (Butterfield, 1913). The flint tools could have been immaculate paleoliths that had come from other English sites; or made from pieces of untouched flint; or, the last supposition open to us, made from neolithic tools. In The Piltdown Forgery, Weiner agreed with E. Ray Lankester that the flints were "unlike any known or defined industry"-in other words, not normal paleoliths, and he praised the forger's skill at this: "Making the tools pre-Chellean, and therefore much ruder and definitely early, was a good stroke. The flints, we now believe, were really rejects off a Neolithic block." The hoaxer may, then, have made them look like precursors of neolithic industry and therefore appropriate to a hominid older than neolithic. That operation would have demanded some virtuosity. If Abbott were the  hoaxer, he could not only have done what he theorized prehistoric man had done, reworking old flints to make them look modern; he could have modified neolithic material to make it look older. A phrase that applies to prehistoric and historic flint makers comes from another article: "As time went on, he progressed in the art of chipping them, copying and improving upon the prototypes supplied to him by nature" (Abbott, 1912). Abbott came closer to confessing his role as Piltdown hoaxer than did any of the other suspects. Negative, and feeble, evidence supporting this claim is that he most surprisingly avoided public identification with the Piltdown pit; positive, and stronger, evidence appears in his articles and letters. Abbott's failure to visit the Piltdown pit may be taken as tantamount to a confession of involvement. Usually it is unwise to take the nonexistence of an event as proof of culpability-such as in pointing to Teilhard's not talking much about Piltdown as affirmation that he must have been thinking about it all the time, alternately conscience-stricken and chuckling; or to Sollas's absence from the Royal Academy portrait in 1915 as a sign of his having been the hoaxer. But I think Abbott's absence from the pit requires a little discussion. Flint artisan and her mate. Prehistoric tool-making hominids were depicted before Abbott wrote about them. This is a reproduction of a gilt picture on the cover of Jno. Allen Brown, Palaeolithic Man in N. W. Middlesex, 1887. Consider his general interest in such digs and his particular interest m those concerning prehistoric hominid relics. He dug at Galley Hill, at Boyn Hill Terrace, and other terraces of the Thames, at Whitehall, King's Cross, St. James Park, and other London sites, at Clapton, Essex, at the Cromer Forest Bed, at Kent's Cavern and other sites in Kent, in Suffolk, in Sussex. Had he merely heard about the Piltdown discovery, he should have been there promptly, leading the pack. There are over a dozen patches of gravel, within half as many miles of Piltdown that require working out. I hope now as the pressure of Xmas is over that I shall be able to give a little more time to them. A few days after Woodward's announcement of Site II, Abbott wrote to his friend Yates, "Oh, did you see that those other fragments of a second Piltdown skull were described last Wednesday by Smith Woodward at the Geological?" (February 25, 1917, BMNH). That's it for his recorded comments on Site II, within the three miles of exploratory terrain he mentioned in his letter to Woodward. I wonder if Abbott could have been the "friend" who accompanied Dawson to Site II. In the letter to Woodward of late December 1912, Abbott protested that he had not fathered the big-chinned, etc., athlete of the Illustrated London News. Why did he raise such a possibility only to knock it down? Nobody had accused him of paternity. He had been raising possibilities for a long time, and not only in private letters. Before you can talk authoritatively of eoliths, you have not only to be able to tell a modern forgery at sight, but make such a forgery, an "implement of any pattern and style of work desired." The letters he wrote toward the end of his life are the most pathetic documents in the Piltdown history. The saddest of that sad lot is a letter to Sir Richard Gregory. Since Gregory had shown some kindness to him, Abbott told him of his financial position (miserable) and health (moribund). He reminded Gregory that he had made "the big discoveries" of Pleistocene vertebrate fossils in 1890, that he had almost lost his life several times while excavating the Ightham fissures, that while others had made fortunes in the jewelry business he had not, and that he would have to close down. He wanted to sell his collection to some "establishment or private gentleman" and be hired as its curator. Part of his plea that he deserved help was his having contributed to Piltdown Man. It was at my earnest entreaty that Dawson took to him [Woodward] what I had pronounced to be a fragment of a protohuman's skull, which he picked up for an "eolith" and realizing it was not one was about to throw it away. It is not everyone that knows that Piltdown Man was discovered in my shop, but it was. This scenario is a tissue of argument susceptible to being poked full of holes: Dawson found a piece of a human skull that had lain in the pit for hundreds of years. His bringing Abbott the first piece started Abbott thinking about doing a hoax. Abbott induced Dawson to collaborate in soaking that and later cranial fragments in bichromate and sulfate solutions. Later Abbott, in two or three unheralded visits to the pit, planted  the mammalian pieces, the jawbone, the simulcra of paleolithic implements he had converted from neolithic, and the elephant femur slab. Most of these items did not require planting-they were just dropped near hedges or on spoil heaps. In January 1915 and later in July, he took Dawson to Site II and allowed Dawson to take credit for discovering Piltdown Man, Jr.
Why go to all that trouble? Part of the motive was proving to the opponents that they were fools. He considered himself the world's authority on flint tools; how dare they, Reid Moir, Ray Lankester, Boyd Dawkins, Abbe Breuil, William Cunnington, oppose him on eoliths being tools or on the antiquity of his and others' finds. Always distrustful, that establishment, about his finds of bones, flints, other things. Once he called upon someone to witness his picking up a flint tool in situ and explained in the article relating the occasion that he had to have a witness since "opposition would be raised by a certain section of anthropologists to a Forest Bed implement" (Abbott, "Worked Flints from the Forest Bed," 1897). It would have been demeaning to anyone; to a person as egomaniacal, as assertive, as obsessed as Abbott, it must have been maddening to need a witness who would confirm that he had picked up what he said he had. The witness, by the way, was his wife. And then there was Dawson. Abbott and Dawson were inspired by imperatives about the same turf. Dawson's having the cheek after the finds to reduce eoliths to mere rocks and river beds to manure suggests, as do the abusive letters, that he and Abbott had their differences. It would have been a pleasure enlisting the good-natured Dawson as an unaware accomplice. Brooding for years on inadequate recognition, on the success of the rival Wizard of Sussex (who had had a plant as well as other things named after him; who had a thriving business; who got along well with everyone), on the ignorant arrogance and tedious pace of the professionals, Abbott hatched the Piltdown coconut. But I don't think revenge was the only motive, or even the central one. Abbott had a history of giving a nudge to reality. No one had ever found any pottery from the mesolithic period; Abbott knew there had to be pottery from then; and so there was, until Curwen's examination. He couldn't help himself from pulling fast ones, an amulet here, a piece of ivory there, a photograph somewhere else. It's still not enough. The central motive was to create Pliocene Man not so much for revenge (although there's more on that coming up) but because it had to be. He wrote on Pliocene Man throughout his career as an amateur paleontologist (1892-1918), even in some respects-such as undertaking dangerous tours and making tools the way they used to be made-reliving the life of Pliocene Man. He found mirror images in two childhood heroes who had gone through similar experiences, Benjamin Harrison and Boucher de Perthes. In "Plateau Man in Kent" (1894), Abbott commiserated with a body of workers, "plodding along in various parts, gaining here and there a little," unsupported by state or science. Of these the most neglected was Benjamin Harrison, a tradesman of Ightham, an "indefatigable observer." His struggles and his perseverance; his fighting against want of encouragement and sleepless nights; his early risings and tramps to some spot four or five miles away, so as to be there at sunrise, and to hunt before opening his shop: all these are matters to be relished when the hero is no more. Harrison received little encouragement in his lonely search for a toolmaking Plateau Man. "For years he sought to make his finds known to the scientific world, but his converts were few." His poor plateau tools were derided. Abbott reflects himself again through another surrogate, Boucher de Perthes, whose history brings us smack into the center of hoaxery. Boucher de Perthes had been involved in the Moulin Quignon hoax of 1863, not as the hoaxer, but as a gull who believed the finds authentic. Abbott aligned himself with Boucher de Perthes early. "As a lad," he wrote in "On the Classification of the British Stone Age Industries" (1911), "I had heard of the discoveries of Boucher de Perthes, and living in a flint country tried to make flint implements before I had ever seen one." De Perthes did good work for science; but that didn't ward off the vultures. The years were rolling by, and the great savant was nearly broken hearted at his fate; a powerful instrument, for good or evil in the State- shall we say what? had become possessed of the fact that a certain workman had chipped some of the stones that the unsuspecting enthusiast had accepted amongst others. It was enough; it was "proved" that Boucher de Perthes had been duped by a fraudulent workman. The Church through the confessional had triumphed! One of the retouched implements is now before me; it is an unquestionably well worked paleolith, but obviously had no point; this the workman attempted to put on, by removing a few more flakes. It is a thing that, not only in those early days, but even today, might easily deceive one. Could he get away with it? He could make flint tools (and medieval weapons too) as well as any artisan of the past. He may have set up a challenge for himself, a craftsman testing the limits of his talent in fabricating a proxy hominid as he had fabricated proxy gems. I think he practiced what he had preached when he said he could make implements (I'd add fossils) of whatever pattern he wanted and that he could forge a thing that would easily deceive. The challenge was to get away with a hoax greater than that at Moulin Quignon, greater than any in the history of science before 1911-and, as it would turn out, after. I think implicit in this presentation is the reason he didn't confess, but I'd like to make it explicit. Peter Costello wrote to me that, if Abbott were the Piltdown hoaxer, he would have sold his story "for a large sum to the more sensational newspapers." In his late years, his financial position tumbled from precarious to fatal. The Wellcome Institute for the History of Medicine kept letters Abbott wrote to them from 1929 to 1932, the year before his death. In that time, he attempted to get as much money as he could from selling his collections. He sold his fossils, his flints, his gems, crystals, some things used by Faraday, even Benjamin Harrison's watercolors and implements and a fossil pearl from the collection of Boucher de Perthes. His wife was a "helpless hopeless invalid." He suffered from several ailments, including blindness-he could no longer read (though he could still type). There were few moments of fun. One such came about as a result of someone applying to him for a magical aid to winning at cards. "I did up a restorer of fortune-which was to defeat the gods or devils-in a box saying 'tell him if he sticks to this, and all it is supposed to stand for, he will never lose at bridge again.' It was a Jade Cross" (June 1930, WIHM). Given the deplorable conditions, why didn't he sell his story to those newspapers? One reason he didn't was that he made more from selling his collections to museums than he could have from selling his story. For "the only COCO-NUT PEARL of the country," he asked 10 pounds. For his crystals, he also asked 10 pounds. That wasn't much money even then. But for his fossil and gem collections, he asked, and got from the Wellcome Institute, one thousand pounds. That was much money then, and would be today in its modern equivalent of $40,000. Had he sold the story, there's little chance anyone would have touched his valued collections. I doubt that he would have considered revealing that Piltdown Man was a hoax even if selling the story had been the only option. We find in his late letters the same self-congratulatory tone as in the letters of his  prime. "My esteemed colleague . . ., Sir Arthur Keith, often reminds me that I am a generation before my time"; "The anthropological collection is admitted by all who know it to be in almost every way the most complete of any known"; "The collection contains ALL the finest things ever got together from the Plateaux"; "There was a big international gathering a little while ago, & the biggest man in America wrote me & told me how enthusiastically hot the Abbe Breuil waxed over the splendid researchs & collection, & set them all longing to see it." Before 1911, Abbott had indicated in his articles just what he intended to do and where; after 1911, he had indicated in his letters (to Woodward, Rutot, and Gregory) what he had done. I think he resisted confessing because he wanted something more than he wanted to prove his opponents dunces. In the worst circumstances, he had something more important than money to sustain him, a sense of indomitable pride in the continued acceptance of his proxy fossils, guaranteed to natural fossils the closet yet produced. The simple matter is that, if Lewis Abbott had created Piltdown Man, he would have been the last person to smash it. I tell you it is not at all ease defending the young lady. To me it is the crowning jewell of my life's work, especially in the last 25 years! I am like a man in love. I cannot do without her!